Today we've prepared for you five background images showcasing the power of modern CSS. They can be used as desktop wallpapers, eye-catching landing pages, and even as printed posters. In the article below we'll also go over some of the key CSS techniques, so that you can customize them to your liking or make your own ones from scratch. 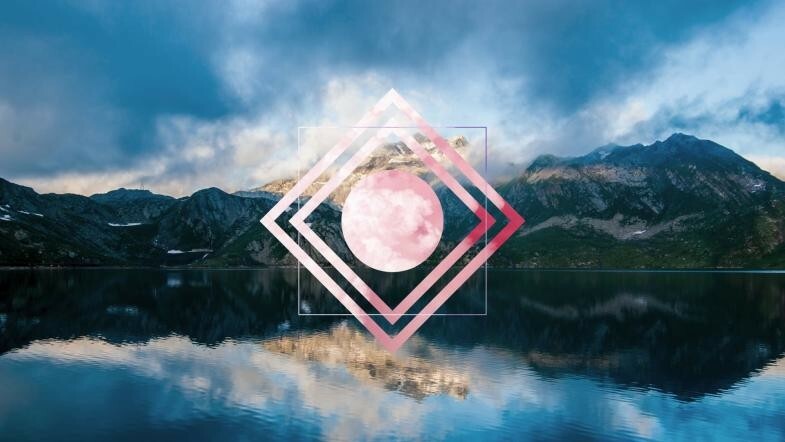 A Polyscape (poly = many, scape = scenery) is an image that contains multiple pictures mixed into one, creating very pleasing surrealistic visuals. Usually such design are made in Photoshop or other image editing software, but thanks to the ever growing arsenal of CSS properties, awesome polyscapes can now be created using nothing but simple web technologies! You can view the designs in a demo app we created. The full source code plus all the polyscapes exported into HD images can be downloaded as a .zip archive from the Download button near the top of this page. The demo uses some experimental CSS properties which might not work in all browsers. For the full experience, it's best to open it in Chrome. 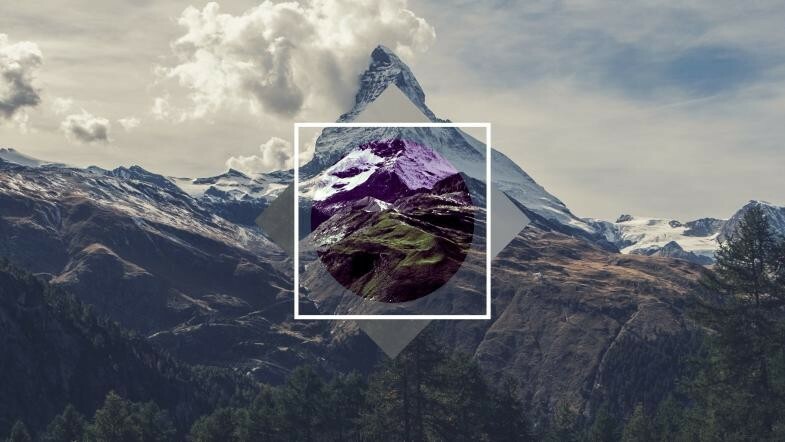 Polyscape of a mountain with CSS shapes and filters. Making these polyscapes was very easy and we had a lot of fun in the process. For the backgrounds we used images from Unsplash. Everything else is done via various CSS shapes, transforms, and filters. Squares - HTML blocks are rectangular by default. Just choose height and width. To turn them sideways we use transform: rotate(45deg);. Circles - Circular shapes in CSS can be created by adding border-radius: 50%; to a square shape. Triangles and Diamonds - Possible thanks to clip-path. We've recently wrote about this in detail in our article CSS Triangles Without Ugly Hacks. Check it out! Tilted squares with transparent background and image border. It turns out there is a CSS spec that does exactly that - it's called border-image and takes as parameters the path to an image, the border size, and how to place the image. Since we are adding images on top of an image background, in many cases we need to apply some filters to make the two views stand out. Most modern browsers freely support this feature under the filter property. We hope you've enjoyed our little CSS experiment. The demo and all of the code is 100% free, and you have all rights to use, share, and change the designs (our license). Thank You,It's useful to me ! Great and awesome effects with CSS!!! have a bug on microsoft edge, or this is not compatible with microsoft edge. Hi, nice article but I am looking for showing overlay on an image and yet zoom in/out to fit the actual image in the overlay? Is it possible and if yes then can you please give some guidelines/references ?